These sessions are for you if you have a big dream, you want to align on all levels to your purpose, you are awakening to your power and gifts, you know you are meant to do something with your life but you feel stuck, you are worried you have lost your fire, you can’t figure out why you are not taking action or why everything is taking so long! 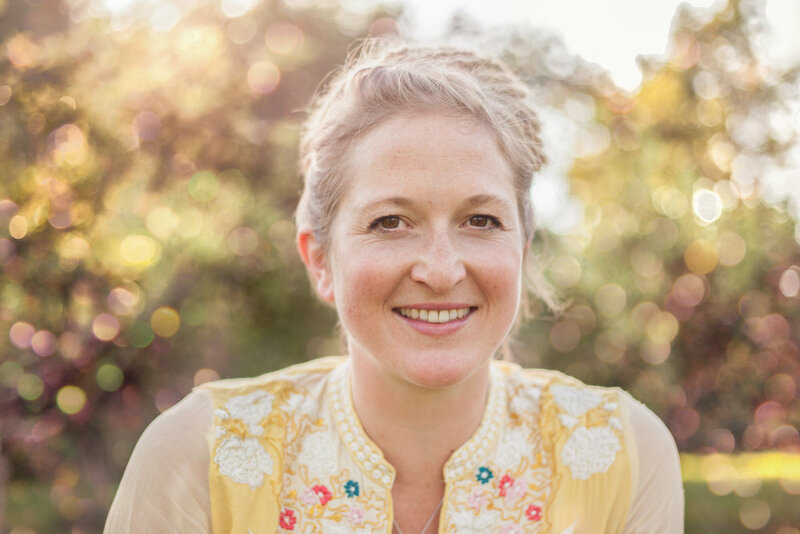 By gaining bio feedback from your body (i.e a yes & no), your system will tell us exactly what is stopping you in your tracks and how it wants to move forward with ease, fun & grace! We work on the physical, environment, nutrition, thought, emotion, and spiritual realms. Is what is holding you back limiting beliefs, ancestral, unconscious or subconscious patterns? When did they come about in your life? Did you inherit that pattern? How can you release what is blocking your momentum? Is it living in your cells, your will, your muscles, your mind? Clues to why you can’t move forward no matter what you try? *This works in person or over Skype! 4. Being the Parent You Wish to Be. For best results and to get to the nitty gritty choose 1 area at a time. *In the session you take 5 steps towards your vision in a chosen time frame. (5 weeks, months, years). *In taking one step at a time, you time travel into your future , we observe what comes up on the way to your vision. We balance and support you each step of the way with the vast array of tools and knowledge Creative Kinesiology offers. *Finally you embody and bring back everything you learn on the journey back to your present moment, ready to move towards your vision with confidence. ***One session lasts 1.5h to 2h max. I have deal prices if you choose 3 or more sessions. You can get massive savings if you choose you want to do all of them. Feel free to create your own vision you want to move towards…writing a book, building a house, moving country…..Message me for prices. Let's get your energy, fire and momentum on track! What can I say about this amazing lady. The first moment we met I knew I had met a kindred spirit. 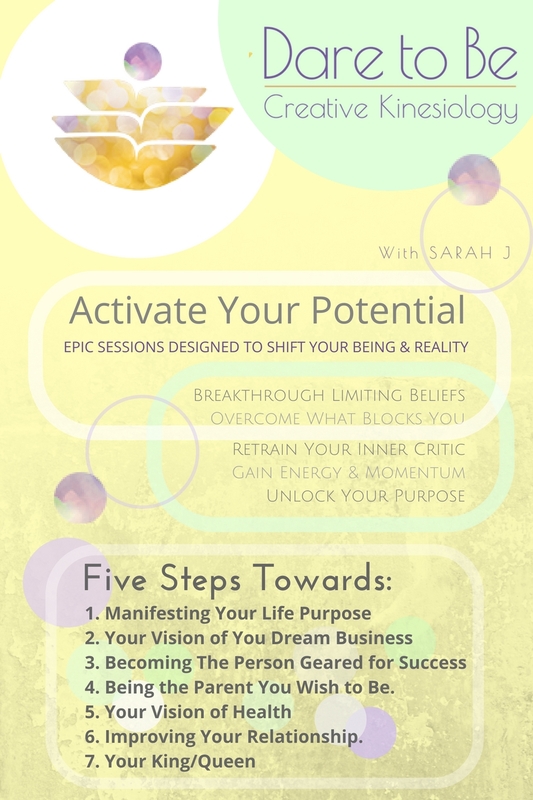 When I experienced her work, I also knew without a doubt that Sarah is a multi-talented energy worker. She worked with me recently using her Creative Kinesiology method to support me in moving towards my vision. Although my vision was crystal clear, I felt there was still some old energy holding me back. It wasn’t anything that I could mentally put my finger on but I knew it wouldn’t hurt to explore it. Creative Kinesiology is a fairly active method where she works with the wisdom of your body to see what it is you need going forward as you take steps towards your future. It was hard work subconsciously but in reality, it felt like playtime. I had a giggle but also a cry because the themes that came through were so incredibly affirming and healing that I felt deeply moved. Wisdom, courage, trust, heart, the power of the feminine. These have all been themes that have been a constant. What it helped me do, besides letting go of some unstuck energy was to help me reconnect lost parts of myself and connect even more with my angels. I saw them clearly standing right behind me - 5 of them. They have my back! Without Sarah’s help I would never have dared to admit this - even to myself! Wow what a powerful day I have had! This morning I went to see my gorgeous friend Sarah Jennings for her 5 Steps forward programme, Creative Kinesiology. I was starting to feel lost with my business and wondered why these goals I had were not coming to life yet. I knew that I could have it but was still feeling stuck and didn’t know why! Obviously there was some limiting beliefs stuck in my body that was stopping me from having it. At first my 15 month goal made me feel sick with nerves, I have some big goals, getting a book deal and launching more groups and big financial ones too! We worked through each qtr step by step to get there and worked on anything in my body energetically that was getting in my way. By the time I got to the 15 month I felt amazing and really felt like I could have it. Lots of insights on what was stopping me in my body which we worked through. Thank you so much lovely Sarah, I have been on it this afternoon! Yesterday was eventful. With a sessions skyped from South Africa, and very surprising things came up- what happened when you were 2? And 17? As per usual the body doesnt not lie and these situations were exactly what were manifesting today, with fears and blocks of moving forward free, clear and focused. The Second session was also EPIC. This person was so stuck in her head and constant questioning and mind labyrinths that she was completely blocked from taking action. By the time we got to step 4, which took a very long time, she emerged of what fell like a tunnel or cocoon of murky energy and darkness, this treacle she had been stuck in for years. It was amazing to watch her emerge, lighter, playful, and unable to think! Yay!